The Seaside Full Slat Bed Set is a wonderful, quality set that any child would be happy to have in their bedroom. Made of solids and maple veneer and completed with a warm tobacco finish, this versatile, charming set makes the most of quality and style. Your child will be delighted to have a bed set to call their very own. 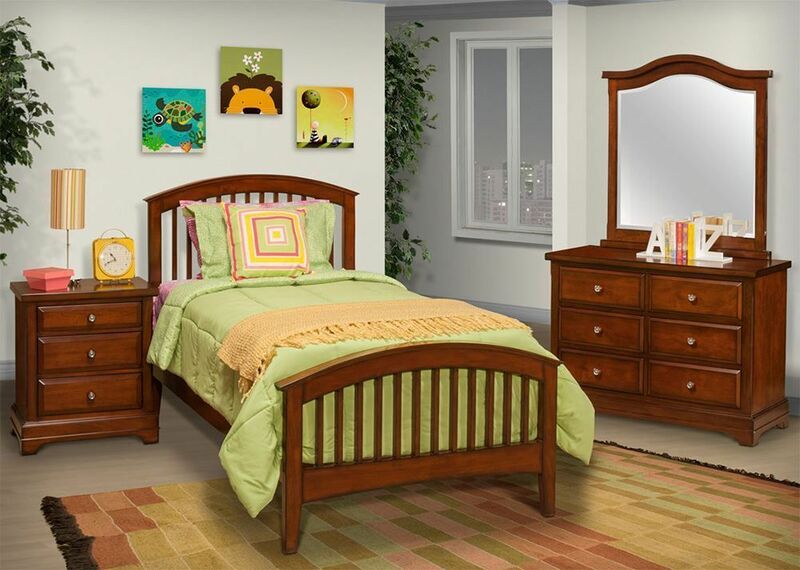 Bring this set home today, and create a space your child will cherish for years to come! This lovely bed set provides an impressive addition to your child’s bedroom, making it a favorite furnishing for any home. Consider combining this bed set with other Seaside pieces for a total bedroom by Seaside. These pieces are all sold separately, so you can mix and match for the décor that best fits your child’s needs. The Seaside Full Slat Bed Set is a wonderful, quality set that any child would be happy to have in their bedroom. Made of solids and maple veneer and completed with a warm tobacco finish, this versatile, charming set makes the most of quality and style.